20 Years as a Travel Agent—This Is the Most Amazing Trip I’ve Taken! I’ve been a travel agent for almost 20 years now. Most of that time has been spent planning family vacations to Disney Destinations. My daughter is practically grown, and I find myself in a new chapter of life—that of the empty nester. 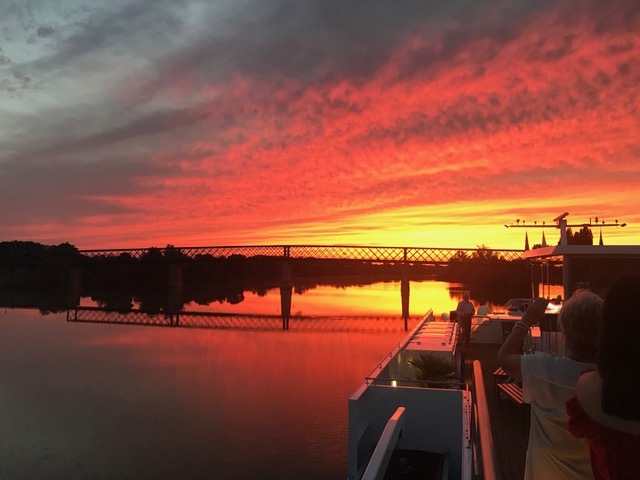 So, in July 2018, I decided to switch things up with a more adult adventure: a seven-night river cruise through the Bordeaux region of France with AmaWaterways. 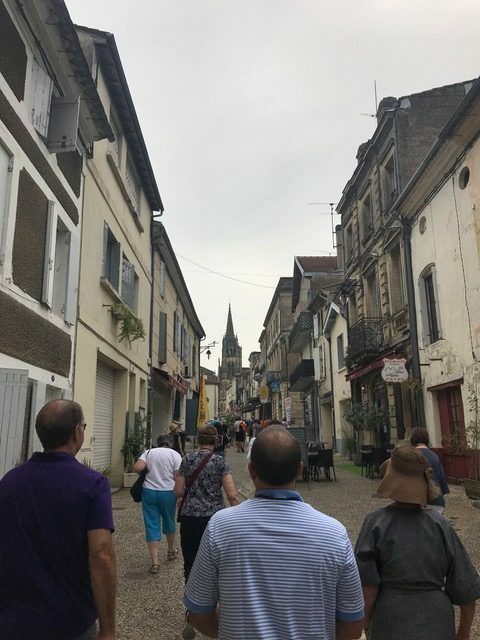 I spent a week touring vineyards, tasting French wine and soaking up history with a group of 18 friends, and without a doubt, it was one of the most amazing trips I’ve ever taken. What is a river cruise, and how is it different from an ocean cruise? Just like ocean cruising, of course, you are on a boat. You unpack one time. You move from port to port throughout your vacation, which enables you to see more than one destination. Unlike ocean cruising, however, you’ll experience no motion sickness. And river cruising ships are much smaller (about 160 passengers) so it is a more intimate experience. Many people who have traveled internationally have visited the larger cities of their chosen destination, which are easily reached by air or by train, and they have many hotel options with a wide variety of amenities in larger cities. River cruises offer travelers the opportunity to explore areas that may feel more off the beaten path. Travelers can explore and immerse themselves in the local culture without having to pack up and move every few days. If you dislike the “chores” related to traveling to multiple destinations, river cruising makes it so incredibly easy. The entire trip was a wonderful mix of relaxing on the ship and taking onshore trips to visit the various destinations. After breakfast on board, we would choose from multiple excursion options. We would then divide into groups and set off with a local expert to tour whatever little village we were in that day. Yes, I said “tour in groups,” but don’t think for one minute you are stuck with the group all day. Starting the day with a local guide was a great way to get oriented and learn the history and stories of the destination in a way that you would never be able to do on your own. After a short time with the guide, we would have several hours to explore on our own. Most often, we would return to the ship for dinner so we could begin travel to the next port of call. After dinner, entertainment was provided in the lounge or we could choose to retire to the observation deck to visit and enjoy the scenery. The views were absolutely breathtaking. Who is the ideal river cruise passenger? River cruises are ideal for mature travelers who enjoy an active lifestyle and who have the time and means to relax and enjoy themselves after years of less mature (or maybe even higher stress?) family vacations. Industry-wide, the average age is mid-60s, but certain cruise lines do seem to trend older or slightly younger. You have many different river cruise companies to choose from: Viking, Avalon, Scenic and Tauck to name a few. If you have watched Masterpiece Theater on PBS, no doubt you have seen the commercials for Viking River Cruises. I have booked many of our clients on these cruise lines and have many wonderful things to say about their experiences. Like the other cruise lines, AmaWaterways offers luxury river cruise vacations across Europe, Asia and Africa, allowing guests to travel in comfort while exploring the cultures and scenery of multiple locations along each route. Like the other cruise lines, we can bundle air, transfers, pre- and/or post-cruise hotels into one package, making the travel experience seamless and incredibly easy. But when I was evaluating different river cruise lines for my own vacation experience, a few things about AmaWaterways really made a difference for me. AmaWaterways consistently has the highest rated ships on the rivers in Europe. Their ship design is unique in the industry, with a shallow draft to permit sailing in low water conditions. The ship’s wheelhouse is engineered to pass under low bridges, so if the water level rises, they can sail with minimal trip interruption. Ama offers a wide variety of shore excursions in every port of call that are included in the price of the cruise. Upcharges for excursions are the exception, rather than the rule. Bikes and helmets for bike tours are complimentary. The food is spectacular. Ingredients are always fresh and locally sourced, never frozen. Ama offers an extensive buffet during breakfast and lunch. Multi-course dinners offer 2-3 choices per course, with hand-picked premium regional wines. AmaWaterways is a member of La Confrérie de la Chaîne des Rôtisseurs™, a prestigious international culinary society dedicated to fine cuisine. Membership is by invitation only to those possessing world-class culinary skills. Ama does not offer a drink package or upcharge for premium wine or liquor. Mimosas and champagne are served at breakfast, wine and beer are available at lunch and dinner, and you can join happy hour every day from 5:00 to 7:00 p.m. Drinks during these times are complimentary. On every Ama cruise, the cruise manager is with you every step of the way. 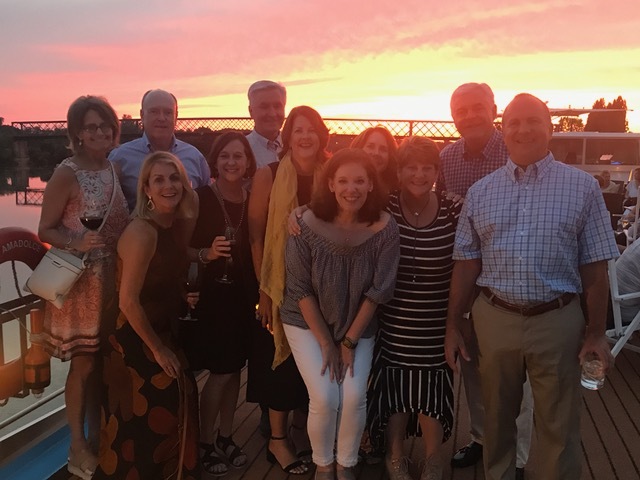 The finest, friendliest and most personable river professionals, Ama Waterways’ cruise managers are profoundly experienced in providing exceptional personalized service. And with their in-depth knowledge of every destination, they are there for our guests 100% both on their cruise and land extensions. Due to the high quality of the AmaWaterways experience, Disney chose Ama to partner with on their Adventures by Disney family-friendly river cruise itineraries. Having the Disney stamp of approval is a significant achievement and was a big part of my choosing to work with Ama. The whole Ama experience is fantastic. When I travel, I don’t want to have to think about anything. If it’s going to really be a vacation for me, I want to show up and have somebody else be in charge. And AmaWaterways does that to perfection! From the moment we landed in Paris someone was there to meet us and put us on the right bus or train, give us directions, and handle our bags. When we were leaving Bordeaux to go home and thought our bus would arrive too late for us to catch our flight, an Ama employee met us at the airport and checked us in herself. From the time we got off the bus to the time we were sitting at the gate took 20 minutes. In all my years of being a travel agent, the return trip from Bordeaux was one of the greatest travel experiences of my life. That’s what I call stress-free traveling! The ship’s service and amenities were outstanding. With fewer than 130 guests on board, we had plenty of space to spread out. Initially, I had been a little concerned about the size of the staterooms. At just 170 square feet on average, they sound very small, but when we saw them they were so well done that we never felt crowded. After hundreds of trips in my life, this one was the best I’ve ever taken. That’s why I’m so excited to help you book the same kind of experience. If you’re finished raising your family and are ready for some fun of your own, let us open the world to you with a unique AmaWaterways river cruise so you can unwind and see the world all at the same time! Does this all sound amazing? We had such a great time, we’re ready to go back, and we invite you to come along, too! Our next group adventure starts on May 25, 2019, when we will be cruising from Amsterdam to Basel on the AmaPrima. Come with us!